Our girl Lisa Price, founder of Brooklyn-based beauty brand Carol's Daughter, spills the tea on her new hair care launch with Target and shares sisterly tips on transitioning. You heard it here first! Our girl Lisa Price, founder of Brooklyn-based beauty brand Carol’s Daughter, spills the tea on her new hair care launch with Target and shares sisterly tips on transitioning. ESSENCE: How did this exciting partnership with Target come about? LISA PRICE: I felt like there was room to expand and to have my products seen in a more universal way. I love how Target has taken on the ethnic aisle and recoined it “multicultural,” making it a pleasant place to shop and not one where you feel embarrassed or have to go and dust things off before purchasing them. Everything is well lit and really beautiful. It’s an elevated conversation. The assortment consists of 21 hair care and styling products, including familiar faves from the Hair Milk and Black Vanilla lines (in new packaging) as well as the new Target-exclusive Sacred Tiare line. ESSENCE: Can you tell us a little bit about the natural ingredients in the Sacred Tiare product line? LISA PRICE: Sacred Tiare is a formula that addresses the strength of the hair. Some of the key ingredients are moringa seed oil, which protects the hair from the sun’s drying, damaging and color-depleting rays; babassu oil, which keeps hair sleek and strong; and calendula, vitamin D5 and coconut oil—all of which help to nourish the hair, keeping it healthy while reducing frizz. ESSENCE: Is the line more geared toward relaxed hair, natural hair or both? We usually see you with natural hair; have you ever had a relaxer yourself? LISA PRICE: I haven’t had a relaxer in my hair for a little over eight years now. But I have had them before. The products are really made for everyone. We have a very large presence with the natural girls, but the products are made for any hair type. So if you do relax your hair, you can still use Carol’s Daughter products; if you color-treat your hair, you can use Carol’s Daughter products. It’s not geared specifically to a natural consumer. ESSENCE: Any advice for sisters struggling with transitioning from relaxed to natural hair? 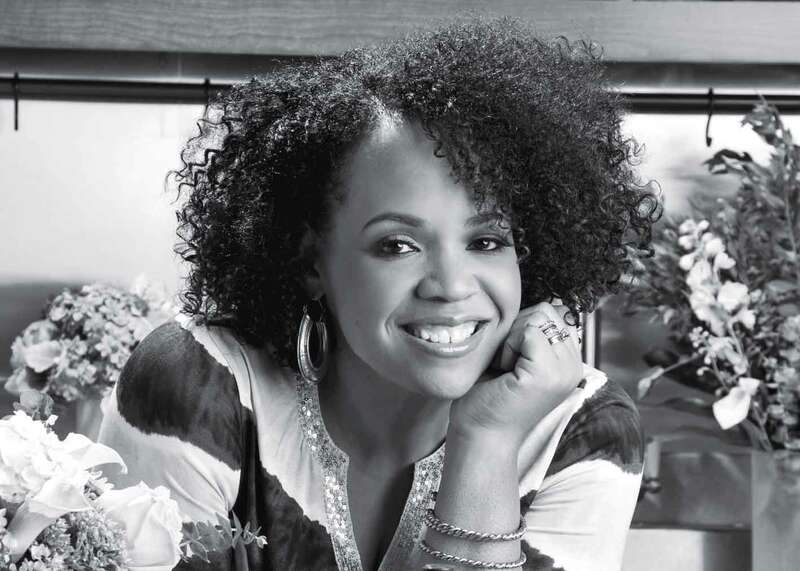 LISA PRICE: If the transitioning process just started and you’re ready to run and grab the relaxer box and start over, just stop for a minute, accept where you are and recognize that this, too, shall pass. When you have that acceptance, you love yourself a little bit more, and it makes it easier because you’re not looking in the mirror hating what you see. When you hate what you see, it causes stress, and that stress causes you to go off your path. Be patient with yourself, and love yourself through the process no matter what it is.